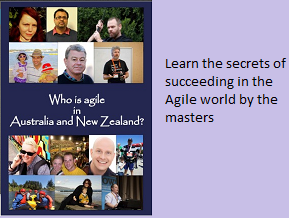 Agile World: Does a Scrum Master need technical or functional background ? Does a Scrum Master need technical or functional background ? Do you expect your Scrum Master to understand Java coding standards ? Should the Scrum Master have a deep understanding of differences between the four products the customer is building ? There are people supporting the idea of Scrum Masters with strong knowledge in technology/programming skills. I feel that, knowing a specific subject whether it is technical or functional is never going to hurt. However, in the context of being a Scrum Master, I strongly believe that it is not a mandatory skill. As long as the Scrum Master appreciates the value of technical practices, and importance of having a good technical debt in the project, one can always take help from a technical/functional coach or expert to implement the practices. The message to TIBCO server is failing. The Scrum Master(SM) need not know how to fix TIBCO server issue. As long as SM asks the right questions, the impediments could be removed and one could succeed in any project. 1. Is this a new one or the one occurred in the past ? 2. Who are the TIBCO skilled experts in the team to be invited to investigate this issue ? 3. Do you really think it is TIBCO server issue or something else ? 4. What is the criticality of the issue and who should be informed ? 5. What is the fall back plan ? 6. What is the impact of this issue on delivery timelines ? In the end, the SM could do a retro (if it is major issue), and apply 5 Whys to identify the root cause. The first thing we have to be sure when dealing with SCRUM master is whether they have a full time Scrum masters, and the second question we have to ask is if what do they do?We usually don’t find a full time scrum master. Scrum master is described by scrum guide as one who teaches, facilitates and removes impediments. When the team is relatively new it takes time and the team follows scrum religiously. This is when the team needs a scrum master who can teach scrum full time.